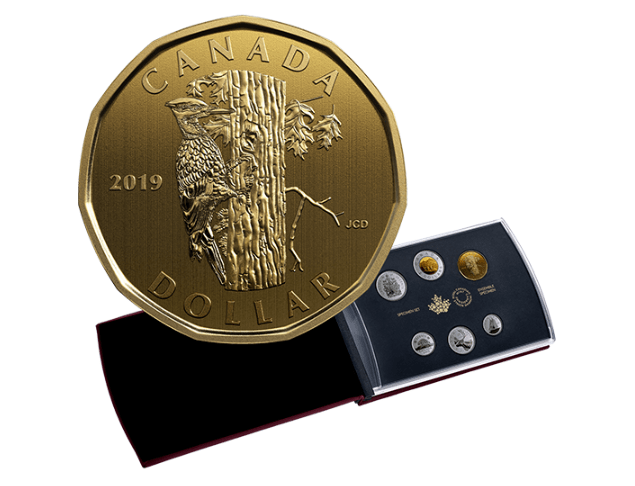 Royal Canadian Mint is offering new coins for 2019. This Pileated Woodpecker 6-Coin Specimen Set features the 2019 designs for the 2-dollar, 50-cent, 25-cent, 10-cent and 5-cent circulation coins, along with a special edition 1-dollar coin. The specimen set has featured a different bird species each year since 2008. The 2019 edition continues this longstanding tradition by showcasing the pileated woodpecker, a favourite of Canadian birders and nature enthusiasts. Get yours for only $49.95! 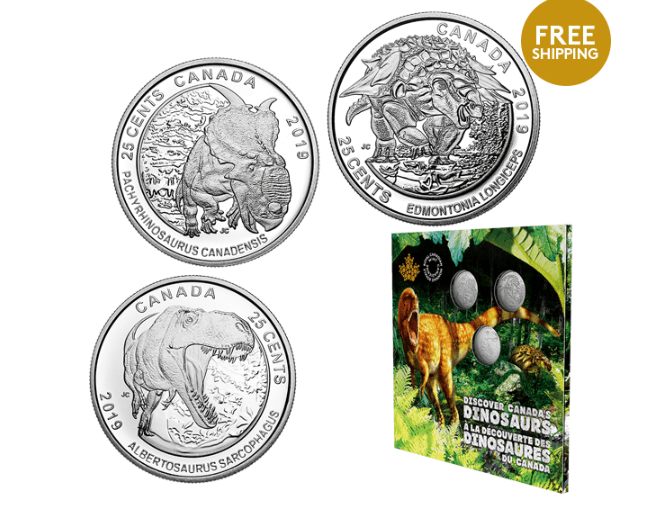 This Dinosaurs of Canada 25-Cent 3-Coin Set is your gateway to a Late Cretaceous Canada, home to prehistoric wonders of all shapes and sizes! Tucked inside an exhibit-ready pop-up folder, these special-themed coins feature three different dinosaurs that were discovered in Canada—the proof is in their names! Get yours for only $19.95 with free shipping! Royal Canadian Mint is offering free shipping on orders of $100+. Click here to start shopping at Royal Canadian Mint!